Angina is chest pain or discomfort caused when your heart muscle doesn’t get enough oxygen-rich blood. It may feel like pressure or squeezing in your chest. The discomfort also can occur in your shoulders, arms, neck, jaw, or back. Angina pain may even feel like indigestion. But angina is not a disease. It is a symptom of an underlying heart problem, usually coronary heart disease (CHD). There are many types of angina, including microvascular angina, Prinzmetal’s angina, stable angina, unstable angina and variant angina. 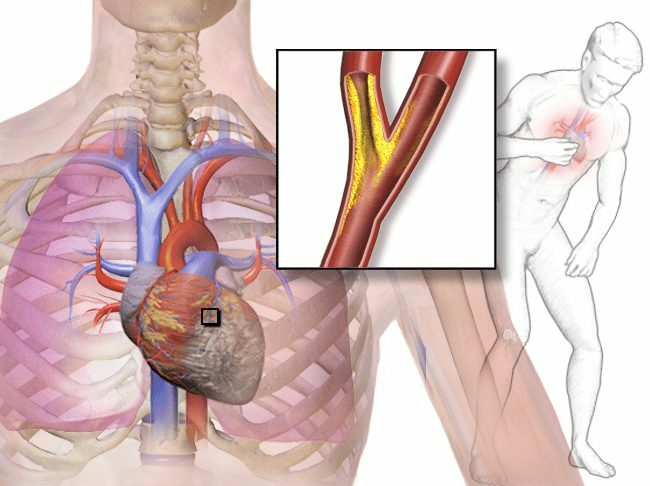 View an animation of angina. This usually happens because one or more of the coronary arteries is narrowed or blocked, also called ischemia. Angina can also be a symptom of coronary microvascular disease (MVD). This is heart disease that affects the heart’s smallest coronary arteries and is more likely to affect women than men. Coronary MVD also is called cardiac syndrome X and non-obstructive CHD. Learn more about angina in women. Knowing the types of angina and how they differ is important. All chest pain should be checked out by a healthcare provider. If you have chest pain, your doctor will want to find out whether it’s angina and if it is, whether the angina is stable or unstable. If it’s unstable, you may need emergency medical treatment to try to prevent a heart attack. Your doctor will most likely perform a physical exam, ask about your symptoms, and ask about your risk factors for and your family history of heart disease and other cardiovascular conditions. These treatments will help reduce pain and discomfort and how often the angina pain occurs. They will also prevent or lower your risk for heart attack and death by treating whatever underlying cardiovascular condition you may have. Not all chest pain is a sign of heart disease.